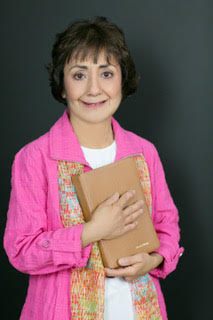 My guest today is Author and Breast Cancer Survivor Yvonne Ortega who suffered the loss of her adult son. My knees shook, and my stomach felt uneasy. No, it can’t be true. He’s strong. He’s a black belt in karate and an excellent swimmer. He can’t be dead. The parents are supposed to die first, not the child. I don’t remember what happened the rest of the evening. I must have been in shock. I cried and vomited most of the next day. At the time, I felt overwhelmed with grief and wondered if I would recover. Given a choice I would have said, “Lord, take me home to heaven now.” However, the Lord didn’t give me the choice to die. Instead, the Lord gave me the opportunity to trust him, and he gave me peace, purpose, and power to get through the loss of my only child. I didn’t think peace was a possibility. But Psalm 29:11 NIV says, “The Lord gives strength to his people; the Lord blesses his people with peace.” I repeated that verse over and over. I reminded God that if he didn’t give me strength and peace, I wouldn’t have any. God was faithful, and he showered me with both. Yet I struggled with the thoughts and emotions common to a grieving person. I was still a mother, but my son was in heaven. He died before he married, and I would never be a grandmother. I cried when I read Proverbs 17:6 NIV: “Children’s children are a crown to the aged, and parents are the pride of their children.” I would never experience that Bible verse, much less carry a grandma’s brag book to show off my beautiful grandchildren. The grief process is neither quick nor easy, and the holidays can be challenging. In the past, I stretched on the floor face down in tears and asked God to let good come from the loss of two aunts, my mother, and my only child. They had all passed away within weeks of one another. Other times, I curled up in a fetal position on the floor and cried. I prayed day and night, read the Bible daily, and journaled. I also played praise and worship music. I wondered what purpose I would serve on earth. I had written my first book when my two aunts, my mother, and my son were alive. I never dreamed God would allow me to write a second and a third book, six and seven years consecutively after my losses. 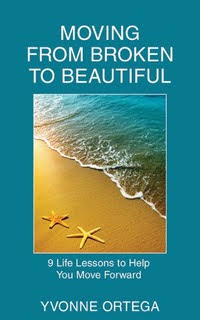 I never imagined that God would inspire me to write a fourth one, Moving from Broken to Beautiful® through Grief, which will come out in 2017. God is not stingy, and he also empowered me to become not only a multiple-book author but also a professional speaker and a speaking coach. God heard every prayer of mine and comforted me. He will do the same for you. God loves you with an everlasting love. I don’t know what challenge or life transition you face, but God does. Your loving heavenly Father longs to hear from you, his dear child, and give you strength and peace. He will never leave you or forsake you. God will give you all you need to move forward in life. You live in an imperfect world with imperfect people, but nothing is too difficult for God. Whatever the devil tries to use to discourage, distract, or defeat you, God can use for good in your life and the lives of others. Just give him a chance. I encourage you to sit in a quiet spot today with your Bible, paper, and pen. Talk to God and allow time for him to talk to you. Do this daily and listen with all your heart and soul. God will uncover his plan for you in his perfect time. God bless you richly as you trust him. 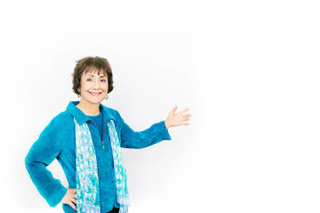 Yvonne Ortega is a bilingual speaker, author, speaking coach, Licensed Professional Counselor, and cancer survivor. 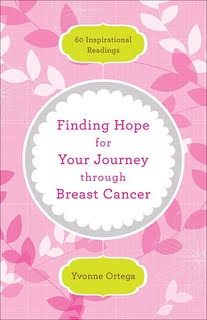 Her books include Moving from Broken to Beautiful® through Forgiveness, Moving from Broken to Beautiful: 9 Life Lessons to Help You Move Forward, and Finding Hope for Your Journey through Breast Cancer.